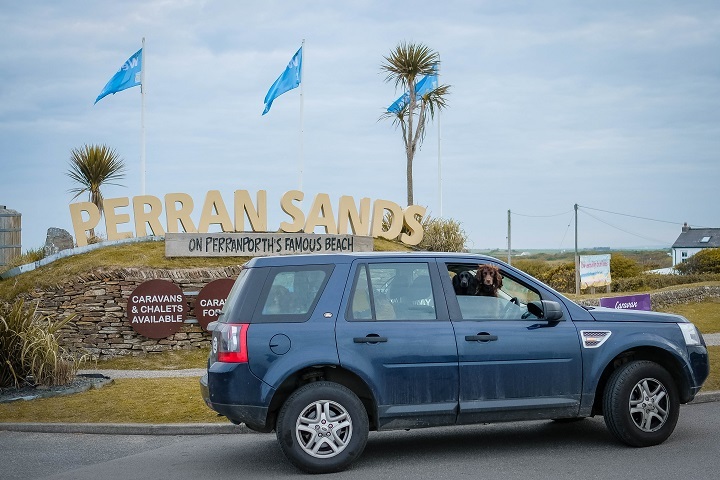 Perran Sands is on the North coast of Cornwall and the base for this trip, based on the stunning Perranporth beach and a great location to explore and visit so much of Cornwall. 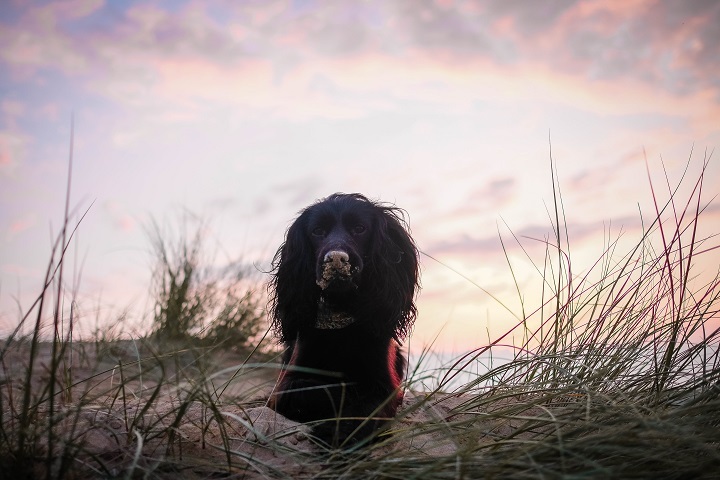 Cornwall is known to be very dog friendly, and it lived up to it's name with the laid back feel of having dogs with you everywhere and anywhere you go. 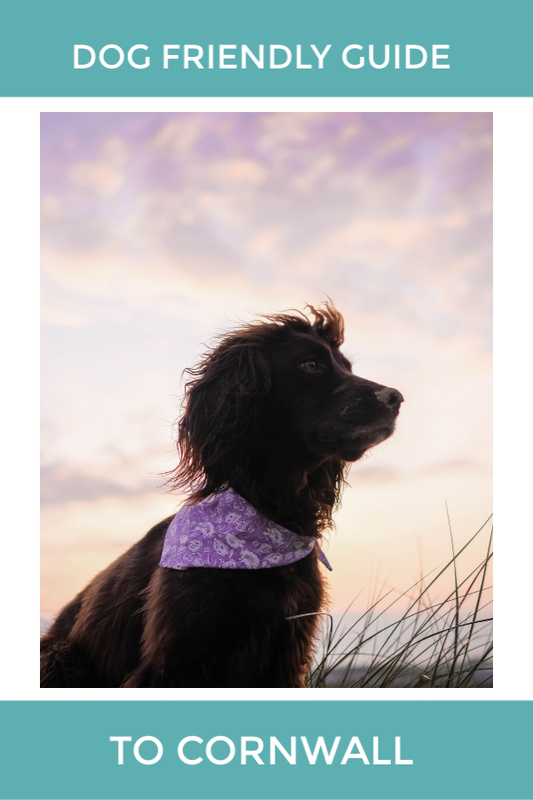 What better way to start of a Dog Friendly Guide to Cornwall than to talk about a pet shop. 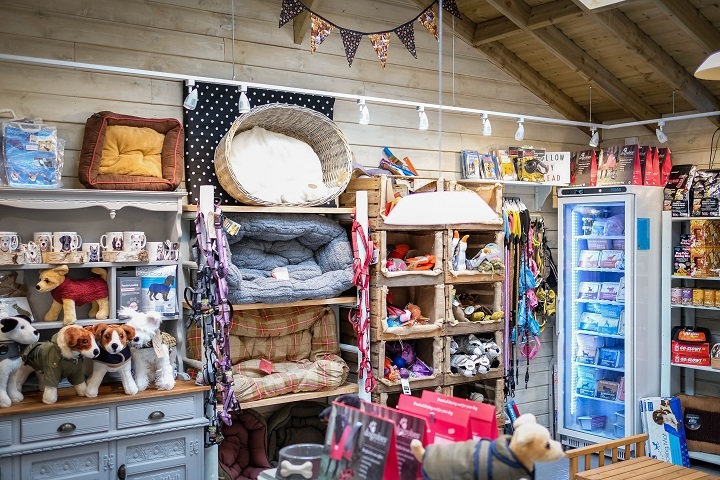 Independent pet shops are usually first on the search list, when travelling with the dogs, and Cornwall certainly has a great selection. 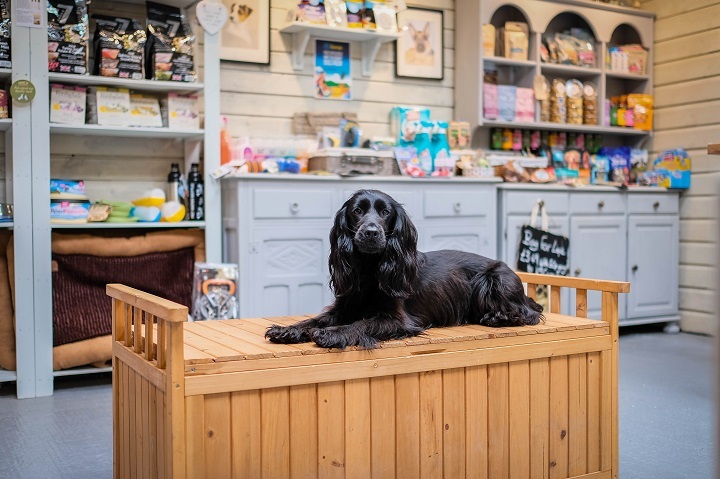 Paws in Padstow is located in a dog friendly garden centre, that has gorgeous plants, beautiful interiors and a cafe that also allows dogs too. The dog boutique is stunning, so aesthetically pleasing while still having a mix of amazing brands and products. 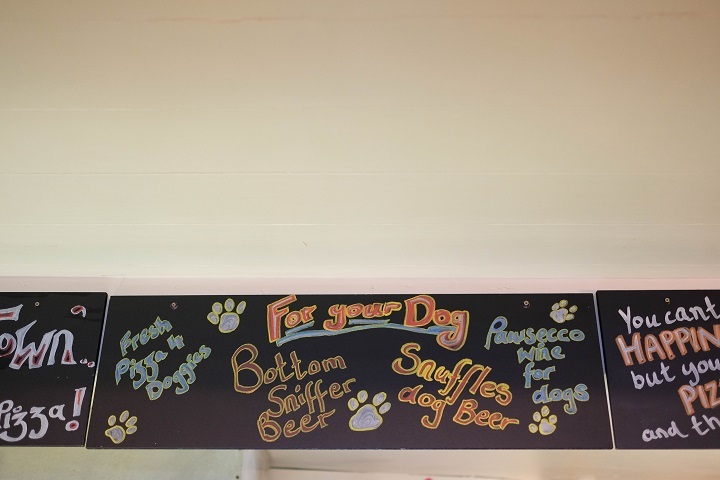 From treats, raw food, leads, drying robes, toys and more it's a great place to stop by and spoil the pooch. No doubt Perranporth beach was a key factor to way we loved this trip so much, it is dog friendly all year round although there is a "dogs on lead" rule through July and August, the golden sandy beach goes for miles, with amazing sand dunes and a perfect location to enjoy the sunset. 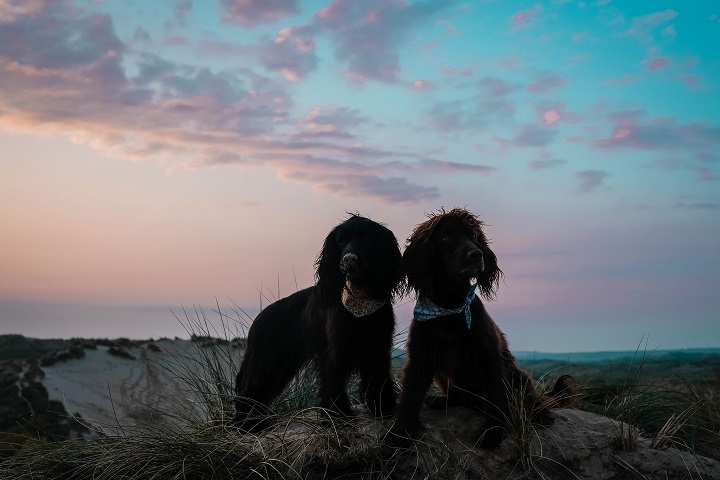 The dunes walks are amazing and very close to the Haven park, allowing for evening strolls and to let the dogs run around whilst the sun is setting and of course heading down to the sea even on the rainy days.... they are spaniels after all. 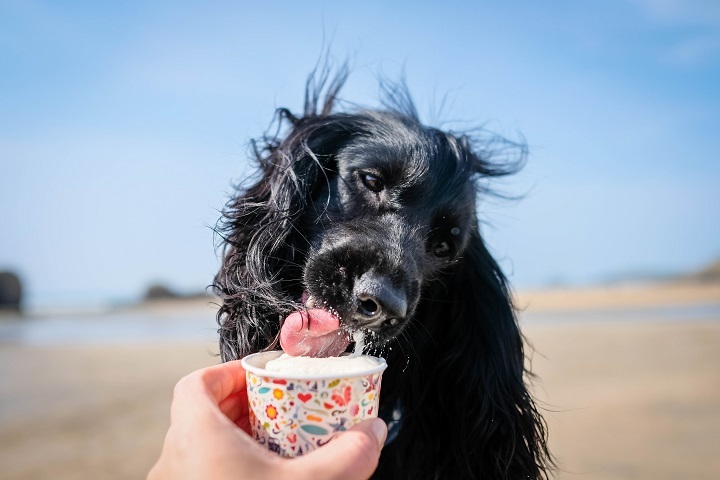 It would not be a Dog Friendly Guide to Cornwall if doggy ice cream wasn't mentioned! Pavilion Ice is a great place for ice cream, in Perranporth. The human ice cream was incredible but Sev tells me the dog friendly version was even better. 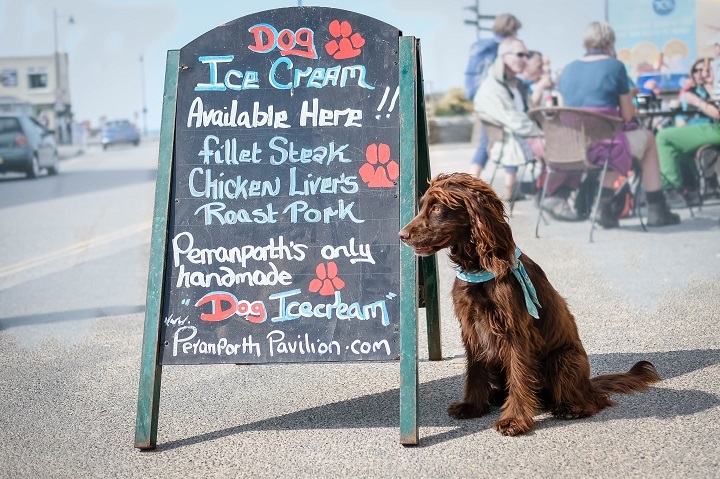 Pick from beef, chicken or pork, all handmade and a great treat for your pooch whilst on holiday. 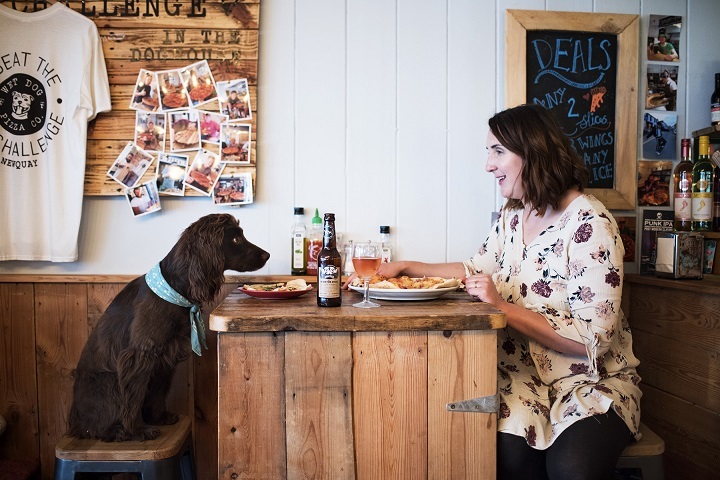 Wet Dog Pizza is top of the list for places to eat on this Dog Friendly Guide to Cornwall. 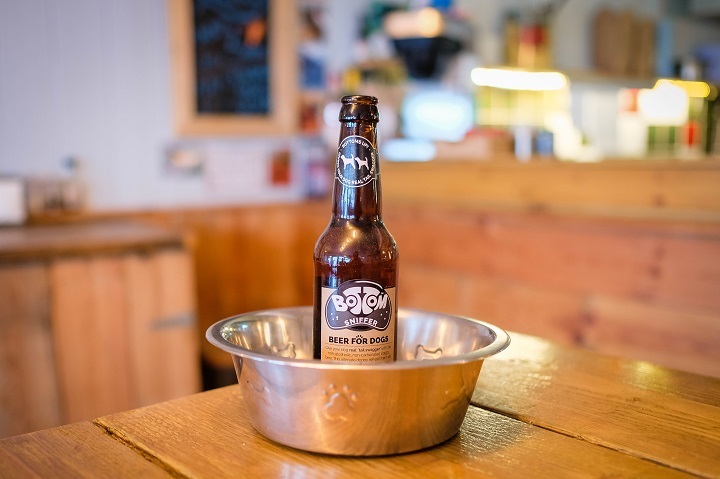 Located in Newquay, Wet Dog Pizza is wonderfully dog friendly and has the best pizza.... for both dogs and humans! 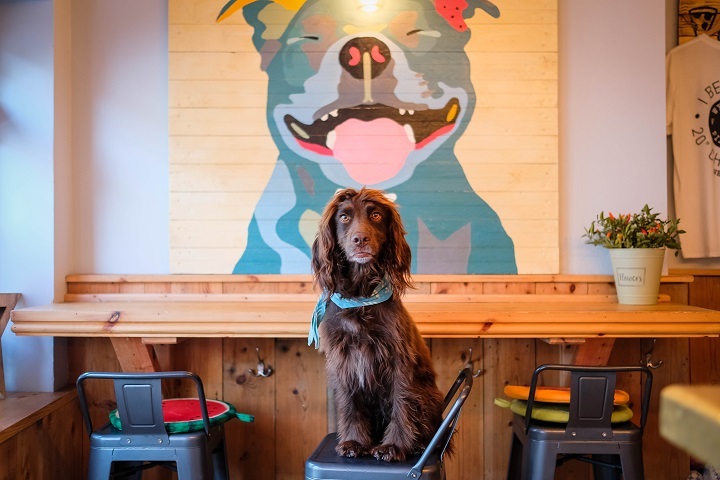 The quirky family run pizzeria are even happy for wet dogs to come straight off the beach and into the restaurant (hence the name) and have a full dog menu, as well as toys and blankets for the dogs to enjoy too. 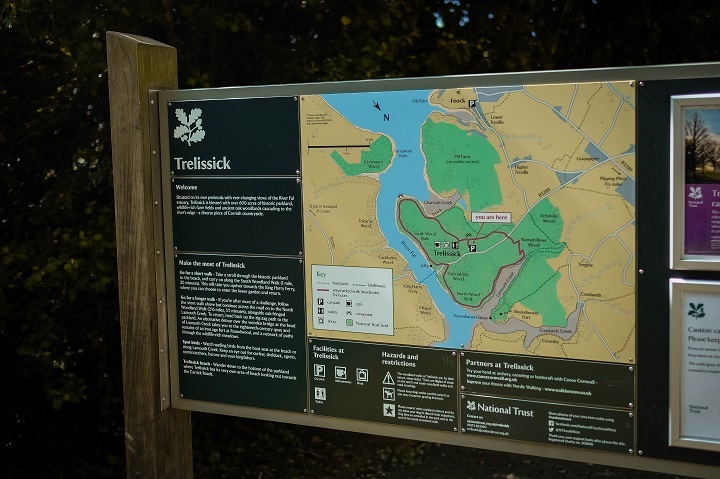 Trelissick is a National Trust Property, a thirty minute drive from Perran Sands. Although the house and gardens aren't dog friendly, the rest (and very large part) of the property still is. 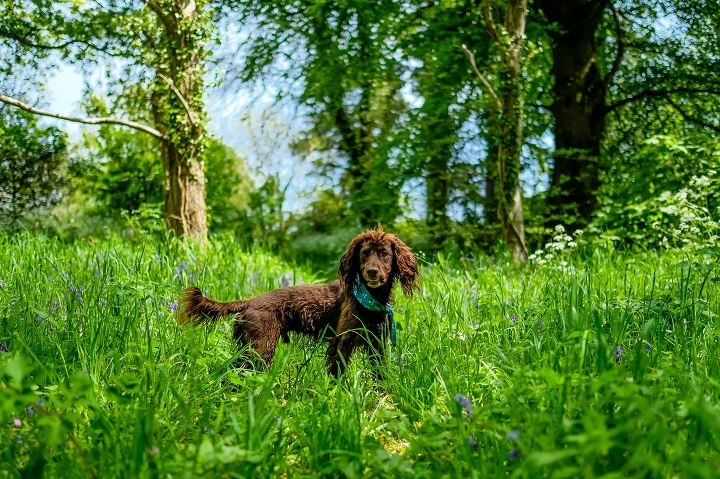 With gorgeous open fields, woodland areas and even a beach, this walk is truly perfect for both human and hound. This stunning location was the perfect morning walk for Severus and Lily as dogs can be off lead, although beware for the cows that graze over the summer time. 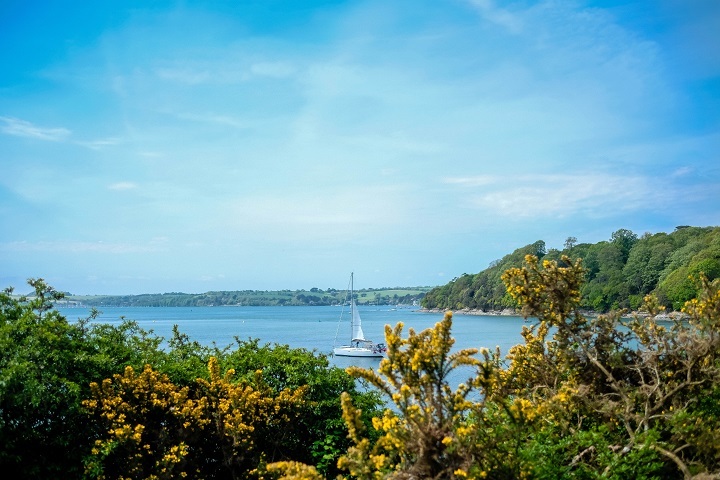 The walks can be cut short, or kept long to really explore the area and all it has to offer. 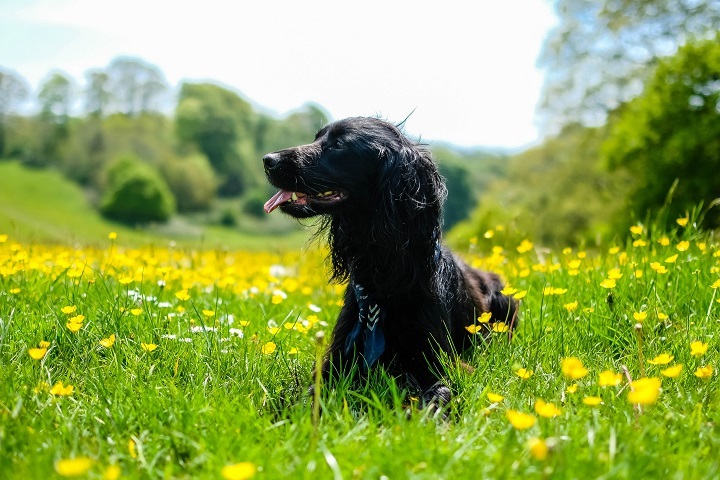 From the seaside to splash in, to the grass to jump around it, this truly is our new favourite place and is a must visit for any dog owner. 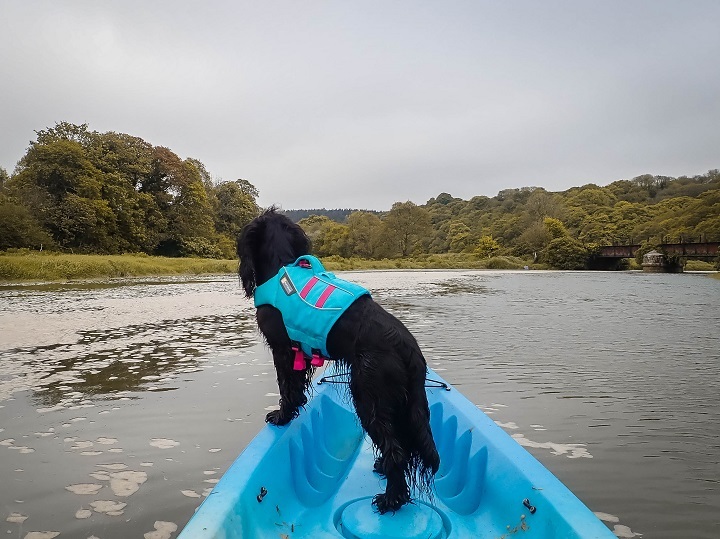 Another thing we were keen to try on this trip was kayaking, Sev and Lily have both been kayaking previously but usually having Sam and taking 1 dog each. The two man kayaks from Cornwall Bike Hire were great for the room, and also keep stable whilst the dogs moved back and forth. 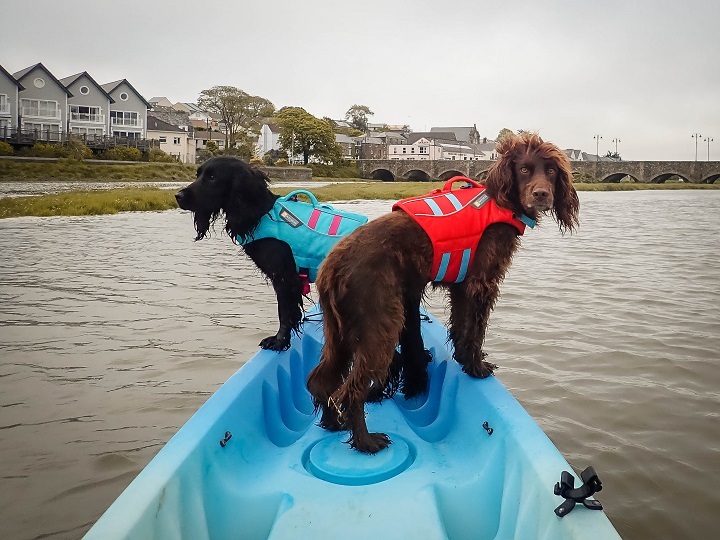 They were really helpful with the route to take, and both myself and the dogs loved the paddle down the Camel estuary. For more experienced paddlers can head the other way and enjoy the day travelling to and around the Rock area. 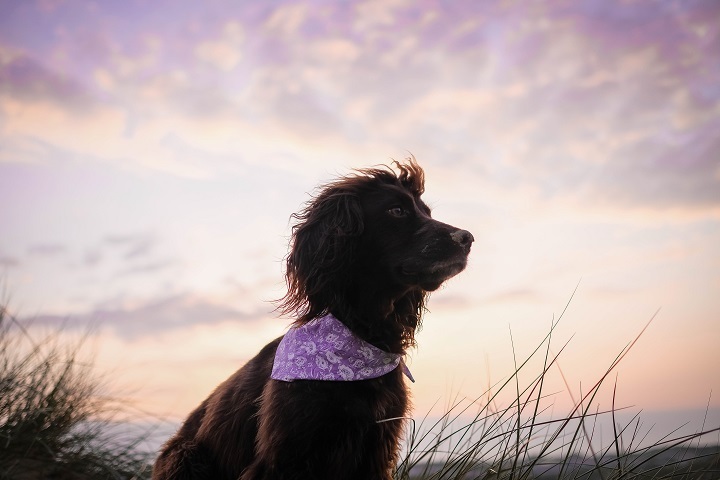 Perran Sands is really a great location and I'd highly recommend it as a base for exploring Cornwall with your dog. The park itself seemed to have lovely dog friendly touches, like a walking area (down to the beach) and water stations outside public areas. 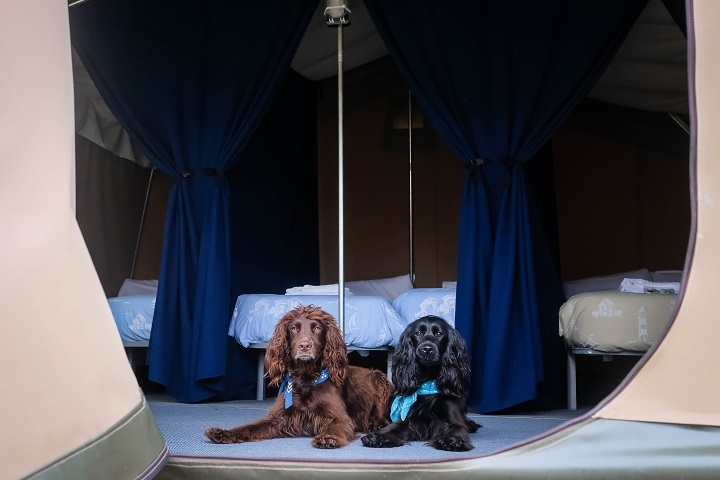 This time we stayed in a "Super Tent" and although we much prefer the ease, relaxation and look of the caravans, the tents are great for (fur) families on a budget that may be already used to camping with their dog.